Quite in opposition to the goings on in voting booths and government chambers across the globe, new releases in recent years have been littered with monuments to multiculturalism, pluralism, and collaboration. To name but a few there’s been Scottish-Indian folk trio Yorkston/Thorne/Khan, Mauritanian singer Noura Mint Seymali’s band featuring a Senegalese bassist and a white American drummer, Israeli singer Shye Ben Tzur’s album of Sufi devotional Qawwali music with Jonny Greenwood, plus French producers like Acid Arab or Débruit producing electronics with artists from the Middle East. Whatever deplorable term is deployed to describe it - ‘world fusion’, ‘East-meets-West’, even (sorry) ‘culture jamming’ - it’s clear we’ve all come a very long way since Graceland. This duo of Cretan laouto player Giorgos Xylouris and Australian drummer Jim White is a decidedly different sort of lattice of traditions. For one thing, Greece’s position historically and culturally is, to put it bluntly, already both a touchstone for, and a mish-mash of, East and West. Though the duo first met in Melbourne, Xylouris is descended from an esteemed musical family and grew up in a rich musical region of Crete. His father Antonis Xylouris (nicknamed merely Psarantonis) has been playing the Cretan lyra (a three-stringed fiddle) and recording shanty-like folk since the 70s, sonically able to resemble Celtic, Yiddish, and Anatolian folk traditions in the same breath. Giorgos’ uncle Nikos Xilouris was an even bigger deal; a Greek folk hero of a singer whose music is associated with the downfall of the military junta in 1967. In short, Giorgos Xylouris comes from stock where ideas have always cross-pollinated from all corners of the Mediterranean; where meandering raga-like structures or North African grooves can crop up just as often as Celtic fiddle licks or Eastern modes. As an Australian, Jim White’s also from a pretty mongrel folk culture himself. His years with Dirty Three demonstrated his ability to frame and compliment a melody with uncanny fluidity – never settling for rhythms aping anything else at all, serving only the strings of Warren Ellis, Mick Turner. And now Giorgos Xylouris. Xylouris White’s first album Goats was an almost entirely instrumental affair, comprising for the most part of meditative noodlings on themes that had Xylouris and White outright sparring at some points, and consoling at others with friendly cymbal washes or harp-like lute glissandi. From the get-go Black Peak leans on harder rocking vocal songs. The titular opening track has the duo amping up the energy, locking into a tom-heavy beat, and introducing Xylouris’ powerful vocals. White adds in a sweltering hi-hat and the pair strive onward with a sort of raw fire never quite hit in the calmer core of Goats. 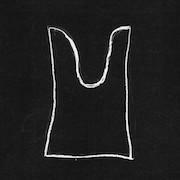 ‘Black Peak’ races to a searing climactic crescendo which should be familiar to anybody who’s witnessed a Dirty Three live show, and the fact Xylouris White are making music with what could seem like such sparing instrumentation - nothing but the laouto, drums, and vocals – never crosses the mind. The following track, ‘Forging’, has a groovy near-sixties feel thanks to White’s atypically straight-forward rhythms and some hook-laden riffage from Xylouris, ascending to lightning-strike soloing in the second half. It’s at this point that the album swaps rocking out for sparser, sprawling, raga-esque tunes: ‘Hey, Musicians’ spends eight minutes simmering in a slow-building mesh of restlessly strummed strings and White’s textured shuffling across his drum skins while Xylouris’ voice soars with priestly wisdom. His voice drops down a few registers more for the sullen ‘Erotokritos (Opening)’, which unsurprisingly makes use of renaissance era Greek poetry (Bonnie ‘Prince’ Billy also miraculously adds a wordless angelic backing vocal). The music somehow brings to mind Montreal’s majestic Yiddish folk group Black Ox Orkestar, or perhaps even a smokey oud raga by legendary Egyptian instrumentalist Munir Bashir. These are haunted folk rituals feeling around deep inside the human psyche, grasping for rarely reached zones and nostalgia for submerged inherited memories. The far more emotionally straightforward (yet musically more complex) instrumental ‘Short Rhapsody’ follows, punctuating the centre of the album with a cleansing shower of scattered notes and drum falls. By this point the deepness of the music will have either managed to suspend any sense of disbelief, or the listener may find themselves needing a breather from all the weighty emotions. The thicker-skinned of us are rewarded at the tail end of the album with a guest appearance from Xylouris’ father Psarantonis on seven minute closer ‘The Feast’. Jim White is at his sparsest and least logical here, painting abstract tom drum landscapes in the background, dancing around a rhythm mostly set down by Xylouris’ lute playing while his father sombrely intones booming poetry and fiddled lyra strings. The song ultimately hits on something of a gentle march; an elegy that’s more than just a requiem, both celebrating and mourning all at once. There’s an ancient sense of purity to this music which seems a cut above any similar projects. Xylouris is (quite literally) a born musician, and the cultural DNA we practically all share with Greece works to his advantage, having him speak something approximating a universal musical language. Jim White however, playing the role of what is essentially Xylouris’ entire backing band save the final track, is the key to Black Peaks’ success - and probably why this music ends up sharing arguably more common ground with Dirty Three’s open ended rootless dramatics than any folk or pop poetry.